The man is simply put - a legend. yeah microsoft picture editor can do amazing things these days. Last edited by Durai; 05 Apr 06 at 20:13. Fantastic word by the president after our humiliating defeat at Villarreal. 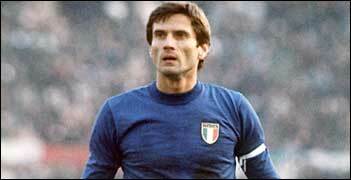 he look like JZ when he is young..but a bit sskinny..mmm,maybe too skinny..
Javier Zanetti and Giancinto Fachetti are alike in many ways. They both love the club, played similar positions and are very respectful. The only difference is that one won alot of impressive sh1t and the other hasn't. why dont u give the real pic, da 1 w/o the mask ? Fabio, you need an extreme makeover. Enough words, I am sick and tired of hearing words. It is time for corrective action, but to tell you the truth I think old Giacinto is livid with the squad and the next time they see him amble up the path to the training ground every single one of them is going to cower in fear of this great man. Hopefully Facchetti will have the tactical nuance to right this sinking ship of s club. Check this out : OLD NEWS BTW !! Tuesday, 15 June 2004 22:08:56 MILAN - After the Inter shareholders' meeting at Milan's Teatro delle Erbe, president Giacinto Facchetti gave some explanations to the media. Regarding the head coach situation, Facchetti pointed out: "I explained to the shareholders that three days ago, Massimo Moratti told me that if I wanted to continue with Zaccheroni then I could. I spoke with Zaccheroni, he asked me for time to reflect and then he said he didn't feel he could continue with us. He didn't feel he had everyone's faith. I've always said I was looking for continuity with the coach, but like I've already explained, I was free to proceed. "It's useless to try and understand what the problems with Zaccheroni were, but he has preferred to resign and so we have changed direction. With Mancini, who is one of the best young coaches around, negotiations are under way but no agreement has yet been concluded. I say this to underline the fact that he hasn't already been here for a while, which is what some people have been saying." Thats how it works here in Inter , Facchetti wants things , but only what Moratti wants come true . They say he is dead... I can't believe it. WHO ARE THEY?? Come on people – give some reliable sources rather than the usual he or she said the man has passed away! I hope it ain't true, but it is highly possible that it is. Tanel we have a thread for this. And until its official there still just 'rumours'...hopefully.